I’m Steve Gustafson and thanks for stopping by. Don’t forget to check out 411mania’s Comic Book Review Roundtable, every Thursday! Read up on the best reviews and let us know what you’re reading as well. Click to read the latest Comic Book Review Roundtable! Female Furies #1, Daredevil #1, and more! Wrestling Fan: “With Bendis gone over to DC, I don’t see how the Ultimate Universe could come back. Ultimate Spidey was the heart and soul of the Ult U, and that’s because Bendis wrote such an outstanding, relatable, heart-felt book. The Ult U needed that tentpole, and I just can’t see any future attempts as being able to recreate that. Jivin’ Koloff: “Short answer, no. We love our superheroes. From powers to motivations, we follow the adventures of Superman, Spider-Man, Batman, Captain America, and the like because of the stories, artwork, and inspiration. Superheroes take the spotlight each month but sometimes they don’t do it alone. The trusty sidekick goes back to the beginning of the comic book industry. At the start, they were used for comic relief and then over time they became more helpful, sometimes complicating the superheroes life as well. We all are well versed on Robin, Bucky, and Jimmy Olsen but what about the ones who didn’t quite cut the mustard? Let’s start with the ones who will cause the most controversy. You know the ones I’m talking about. The ones that were blatant racial stereotypes that everyone laughed at and over the years started to cringe when discussed. Guys like Wing, Whitewash Jones, Chop-Chop, Ebony White, and Green Lantern’s Thomas Kalmaku, otherwise known as…Pieface. They played to every cliche possible and while you can say they were a product of their time, the less said about them, the better. They are acknowledged so let’s move on. Spider-Man isn’t known for having a sidekick and that’s for good reason. Until 2012 and we were introduced to Alpha. Andy Maguire has the “regular kid given superpowers by lab accident” origin but completely flopped when it came to fan reaction. Not a good idea at all and he was quickly discarded, waiting for some brave writer to dust him off in the future. Many wore the Robin uniform. Some longer than others and some did a better job than others. Honestly, playing sidekick to Batman is a tough job and one that requires skill, toughness, and patience. Jason Todd learned all this the hard way. Todd was always the black sheep when it came to Robins and not just on the page. Fans didn’t warm to him and got the opportunity to show it. For 1988’s Batman: A Death in the Family storyline, DC Comics held a telephone poll to determine whether or not Jason Todd would die at the hands of the Joker. How did it end up for him? He was killed off by a margin of 72 votes (5,343 for, 5,271 against). Lucky for Jason, he was brought back from the dead and handled pretty well but that doesn’t take the stink of his first run. Plastic Man might not be on the A-list but that doesn’t mean he deserved to have Woozy Winks as a sidekick. More annoying than funny, he was given a late 90s spin that fell flat. Another one who fell flat is Uncle Marvel. Around since 1943, Uncle Marvel was a criminal who lied his way into the family. He got the reboot treatment as well but he was a character who never fit in and did more damage to the Captain Marvel family than good. I’m surprised they haven’t killed him off in a big storyline to get the Marvel characters more attention. No word if he’ll make an appearance in the upcoming Shazam movie. While some out there may like him, Snapper Carr has always been the poor man’s Jimmy Olsen to me. While you can split hairs and say he functioned more as a mascot, I have no qualms throwing him on this list. 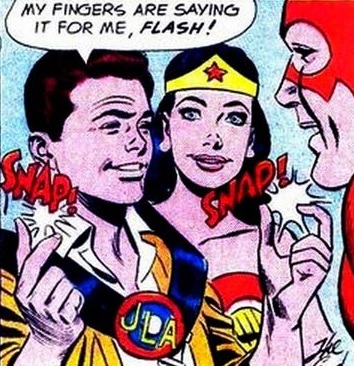 Snapper was included in the JLA’s first appearance at the suggestion of DC executive Whitney Ellsworth who, believing a reader identification character for young readers was needed, directed that a “hip-talking” teenager modeled after teen idol Edd Byrnes’ character Kookie on 77 Sunset Strip be added to the story. That’s all you really need to know. Wonder Woman can claim Etta Candy, who was created in 1942, hung around for several years and then disappeared until the 90s. Given a complete makeover, one could have never guessed her former sidekick life. When it comes to sidekicks, I believe Captain America has the distinction of having the worst history of sidekicks of all time! The original Bucky was silly and thanks to his reinvention into the Winter Soldier, that has been forgotten. What can’t be forgotten is names like Nomad, Jack Flag, and D-Man. Oh, and let’s not forget about Free Spirit. Another Captain America classic sidekick and another product of the 90s. The Fantastic Four’s H.E.R.B.I.E. deserves special mention. H.E.R.B.I.E. was created for the 1978 Fantastic Four cartoon to replace (?!?!) the Human Torch because they couldn’t use him due to copyright issues. How does that happen? 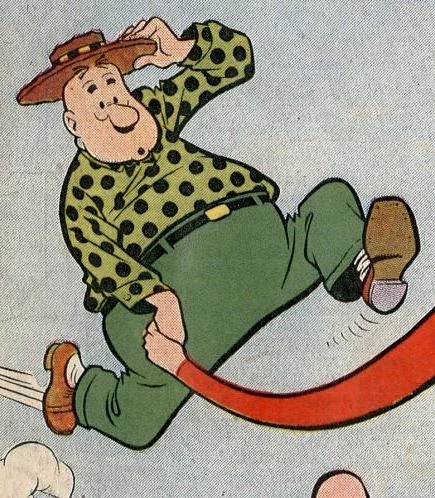 Anyways, he made his comic book appearance in 1979 and while never given a huge role, deserves a spot on the list. I’ve left a couple of gems out there for you but who is the worst sidekick to you?